The greatest and most powerful leaders hold visions larger than themselves. Leaders leverage the power of their position to positively influence others, and to create real lasting change and impact – helping others to achieve more, become more and give more. 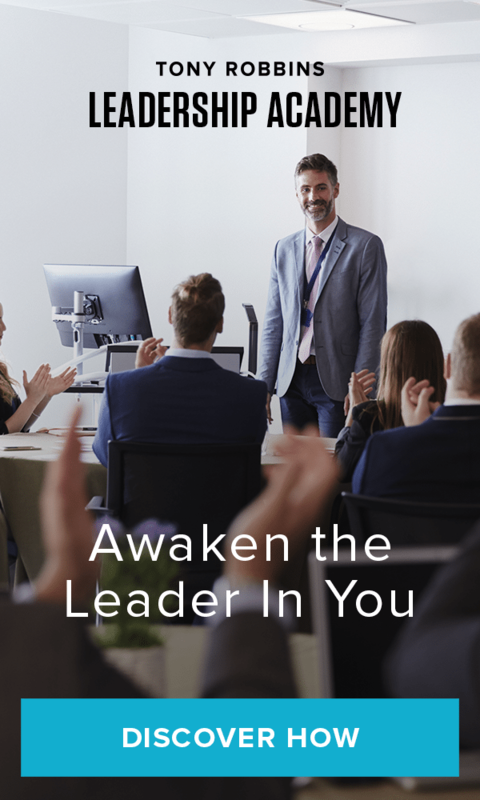 Learn how you can develop and increase your own potential to become a more effective leader through Tony’s 7 Qualities of Leadership. Real leaders tap into their own personal power (their energy) to shift the emotional tone of those around them, so they can help re-focus the group’s energy to accomplish goals. Leaders know to master their own emotions before trying to change those around them. Leverage certainty, humor, decisiveness, playfulness and compassion to overcome stress and then provide strength to others. To truly influence someone, a leader must first understand and appreciate the uniqueness of others’ individual experiences. Develop and cultivate authentic personal connections, then leverage insights to help others meet their needs and achieve real breakthroughs. When people are consistently rewarded for wins, they develop a driving hunger to become better. Great leaders correct in private and praise in public. Acknowledging success effectively strengths bonds and trust to build stronger teams and results. One of the most vital skill sets leaders practice is time management. Understand the inputs to each project, and identify inefficiencies. Once you have successfully mastered your own time teach others to compound the effects and free up your calendar. Great leaders are purpose-driven. They begin with the WHY behind the project and ensure each team member connects to it. Helping others to tap into why they think, feel, behave and act they way they do is a core quality of leadership. Powerful leaders understand the actual cost of time. Rather than exchanging time for money, leaders increase their skill-sets in finance and wealth management to further empower their use of resources, time and people.